Six Month Smiles is continuing to innovate as a digital company and we are excited to announce a new enhancement to our cases. Digital bracket setup will now be included with every case- at no charge! Better bracket positioning increases orthodontic treatment efficiency because brackets will be placed digitally in the most ideal location. Once bracket positioning is confirmed, jigs (or containers) will be placed around the bracket. The brackets are digitally erased, leaving only the jigs on the model, as shown in Figure 2. This model is 3D printed, as shown in Figure 3. 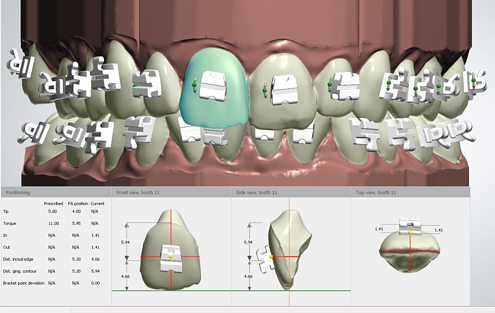 A dental technician then uses the 3D printed model and places Six Month Smiles brackets inside the jigs to precisely transfer the CAD bracket placement setup to the physical model. This setup is then used to create the indirect bonding appliance. Finally, in addition to Digital Bracket Setup, Six Month Smiles will store your STL files (digital models) along with your case photos at no extra charge. We’re excited to share this enhancement with you, we know you’ll love it! 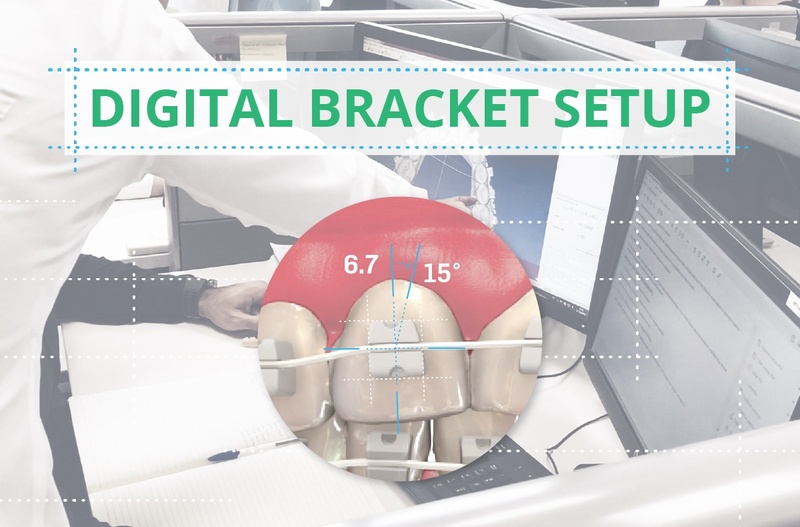 Learn more about Digital Bracket Setup here. New to Six Month Smiles? The Six Month Smiles® Short Term Ortho System provides you, the General Dentist with a practical and turnkey solution for adults with crooked teeth. Utilizing unique clear brackets and tooth colored wires, the system allows GPs to easily help their adult patients who think that they are "stuck" if they refuse traditional orthodontic treatment. The World Class Six Month Smiles 2 Day Hands On Course provides you with the knowledge and confidence needed to start using this award winning system to improve the lives of your patients with clear braces while simultaneously growing your dental practice and your cosmetic dentistry services. The ongoing support from Six Month Smiles gives you peace of mind as you help your patients smile with confidence.